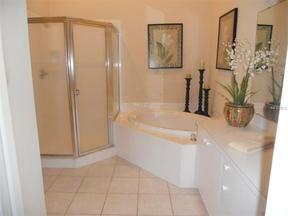 Lovely 2 bedroom, 2 bath vacation rental within gated Stoneybrook Golf & CC. This condo is on the second floor with outstanding views of the golf course from the glassed and screened lanai. With two bedrooms and an extra den/office or potential 3rd bedroom, there is plenty of room in this turnkey appointed unit. Enjoy the view from the fully enclosed lanai, taking advantage of a tropical paradise while sitting under cool air. Golf membership transfers if desired for $250.00. Just a short drive to the world famous Beaches of Siesta Key and an outstanding array of entertainment, shopping and restaurant's galore. RENTED JAN., FEB., MARCH 2019. Call for off season rates.